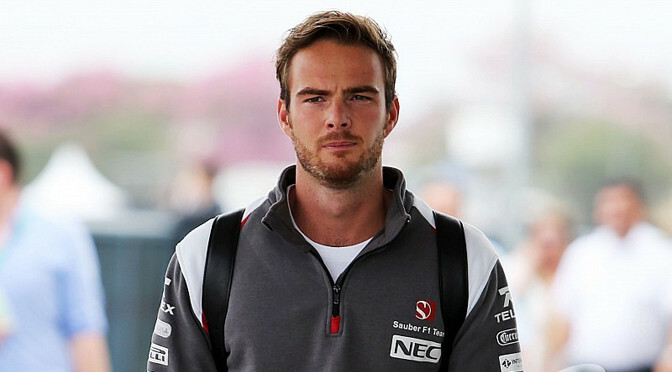 Giedo van der Garde’s case against the Sauber Formula One team looks set to come to a conclusion in the next couple of days after the parties finalised a settlement. The Dutchman and the Swiss squad were embroiled in a legal battle during the Australian Grand Prix weekend, as he claimed he was unfairly ditched by the team when he had a contract to race in 2015. An Australian court ruled in favour of the driver, but the case was dropped as both parties agreed to talk and Sauber stuck to its original plan of running Felipe Nasr and Marcus Ericsson. Now the case is set to come to an end, with Sauber agreeing to pay van der Gard a big sum of money. Motorsport.com understands that the figure involved is €15m, a substantial sum given the obvious financial predicament of the team. Despite the legal problems, Sauber enjoyed a very positive grand prix in Melbourne, with Nasr finishing in fifth and Ericsson in eighth. The team is currently third in the constructors’ championship, just one point behind Ferrari. Ducati’s dominance over the final MotoGP test of the year at the Losail International Circuit continued today with factory rider Andrea Dovizioso ending the day on top of the timing sheets while Marc Marquez was a close second and the Repsol Honda rider was followed closely into third place by the second factory Ducati in the hands of Andrea Iannone. The second session got off to a similar start with Dovizioso and Iannone consistently in the top three but today it was Marquez who was at the front for the majority of the day but he was moved off the top with Dovizioso setting a fastest lap time of 1m 54.907s on his 33rdof 38 laps. Marquez’s best time of 1m 55.091s was just .013s ahead of Iannone in third. Movistar Yamaha rider Jorge Lorenzo made small improvements today although the Spaniard’s best lap of 1m 55.500s came in just his 15th of 51 laps, this was in stark contrast to teammate Valentino Rossi who left it until his 50th lap to set the 5ht best time of 1m 55.581s while Dani Pedrosa sits in 6th today on the second of the Repsol Honda machines. Cal Crutchlow once again showed good pace on board the CWM LCR Honda with the British rider continuing to grow in confidence on the factory machinery while his teammate Jack Miller ended his second day in 21st in the Open Class. Crutchlow’s best time of 1m 55.624s was enough to see him ahead of his fellow countryman Bradley Smith on the Tech 3 YZR-M1 whose best lap of 1m 55.648s was .010s ahead of his teammate Pol Espargaro in 9th and closing out the top ten today was AB Motoracing’s Karel Abraham with a best time of 1m 55.765s. Pramac Racing’s Yonny Hernandez was just outside the top ten with his best effort of 1m 55.772s while his teammate Danilo Petrucci didn’t fair so well with the Italian in 22nd. Team Suzuki Ecstar’s second day sees teammates Aleix Espargaro and Maverick Viñales in 12th and 14th respectively with just .015s separating them and in between is the Estrella Galicia 0.0 Marc VDS rider Scott Redding with his best lap of 1m 55.803s. The Open Class this year is gearing up to be one of the closest and the Avintia Racing and Drive M7 Aspar teams were locked in battle today with Hector Barbera and Mike Di Meglio in 15th and 17th respectively while Nicky Hayden and rookie Eugene Laverty sit in 16th and 18thpositions. Michele Pirro set the 19th best lap today for the Ducati Test Team while Stefan Bradl and the Athina Forward Racing team rounds off the top 20following a crash early on for the German rider. Bradl’s teammate Loris Baz ended day two in 23rd position with his best time of 1m 56.936s enough to finish ahead of Aprilia Racing Team Gresini’s Alvaro Bautista while Octo Ioda Racing Team’s Alex e Angelis finished ahead of Marco Melandri and the second of the Aprilia machines in 26th place. 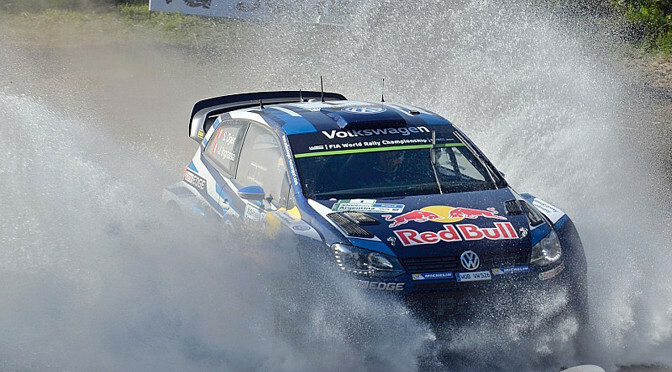 WRC: Sebastien Ogier in a league of his own to score victory in Mexico. Two-time World Champion in a league of his own to score victory on a rally he believed he couldn’t win. 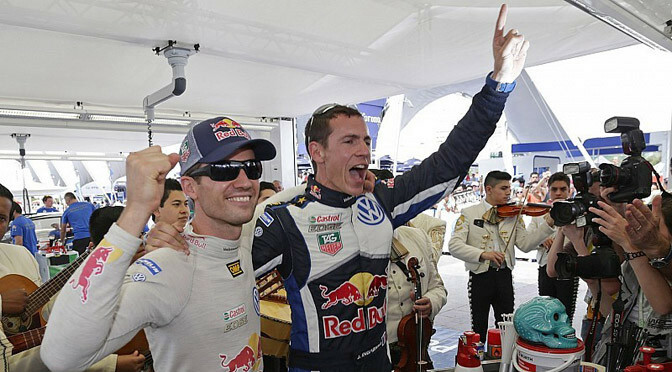 Sebastien Ogier took his third 2015 World Rally Championship victory in a row on Rally Mexico, despite claiming before the event that it was a rally he could not win due to his disadvantage of running first on the road. He had clarified that by saying he only couldn’t win if all his rivals don’t hit trouble – and how they did that, in all manner of fashions. Jari-Matti Latvala had a guilt-edged chance to get his title bid off the mark here, but threw it away when he swiped the left-rear corner off his Volkswagen Polo against a bank on Saturday. Thierry Neuville, who has become Ogier’s closest rival in recent events, rolled his Hyundai when poised to challenge for the lead. Citroen’s Kris Meeke also had a great chance, given his hugely preferable road position, but he too crashed out. In fact, Ogier’s rivals seemed to be inventing new ways of not challenging him for honours: Ford’s Ott Tanak even somersaulting into a lake on Friday morning. Mads Ostberg finished second for Citroen, 1m18.8s behind the dominant Ogier, while Andreas Mikkelsen finished third for VW, another 6.3s behind. Elfyn Evans finished a creditable fourth in his M-Sport Ford, equaling his best-ever finish at this level, while Dani Sordo suffered a puncture when he was closing in on Evans, and he cruised home in fifth. Czech privateer Martin Prokop rounded out the top six in his Fiesta. 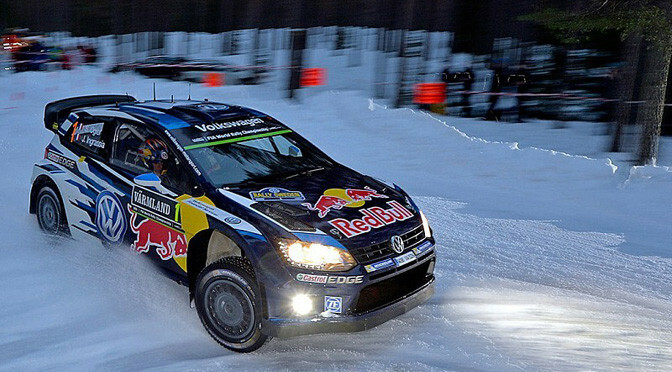 Ogier trumped his own success by taking the three points on offer in the powerstage. Only he could find a way to upstage his own prowess at the moment – nobody else is in the same league right now. The Manor Marussia Formula One team, formerly Marussia, is pushing ahead with its plans to race in the season-opening Australian Grand Prix. The team announced last week that it was exiting administration, taking another step towards a return to racing with its 2014 cars. Ferrari confirmed last week it had agreed to supply the team with its 2014 power units. On Wednesday, Manor said the cars with which it plans to compete in Melbourne are in advanced “state of build”. “The approval by the Company’s creditors on 19 February 2015 to a Company Voluntary Arrangement paves the way for the team to exit from administration and since that time everyone involved with Manor has been working flat out on the key components of its 2015 challenge,” said Manor in a statement. “The car with which Manor will begin the season is now in an advanced stage of build at the team’s current race preparation facility in Dinnington, UK, where personnel are working 24-7 towards the air freight dispatch date of 6 March. The Dinnington-based squad has announced Will Stevens as one of its race drivers. 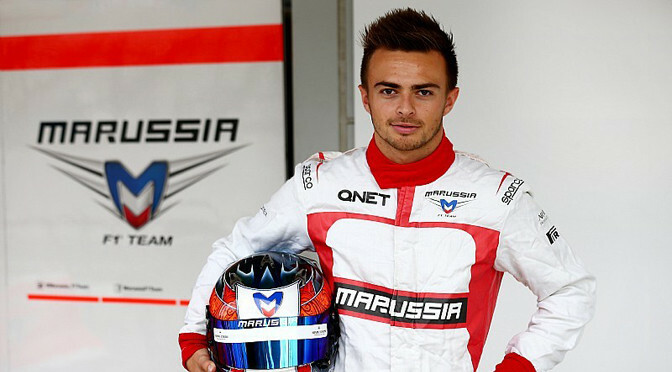 Stevens, who was a reserve driver for Marussia, made his Formula One debut with Caterham at the end of last year. “It’s very exciting to see everything coming together at Manor after the tremendous effort that has gone into saving the team,” said Stevens. “It would not have been possible without the incredible support we have received from all the suppliers and from within the sport, but most of all the fantastic team of people at Manor who are working around the clock to ensure we are ready for Melbourne. 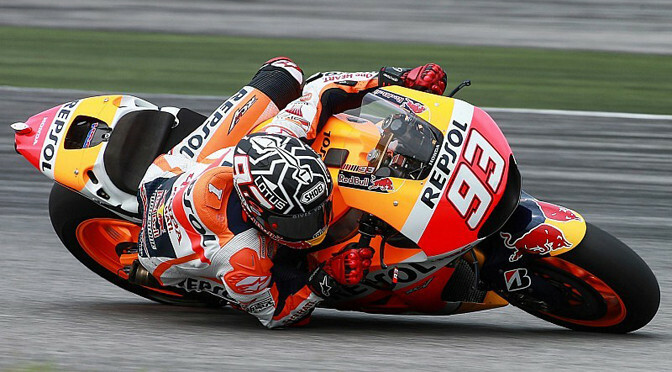 Marc Marquez signed off at the second MotoGP test in Malaysia with the fastest time on day three today. The Honda rider dominated days two and three at the Sepang circuit, the Spaniard followed into second place by Yamaha rider Jorge Lorenzo and LCR Honda’s Cal Crutchlow in third. Marquez was again quick to set the pace early on and while he didn’t equal his track record from the first Sepang test, he eventually set a time of 1:59.115 on lap 13 of a total of 73, the 22-year-old spending the remainder of the day focusing on set-up and chassis comparison rather than further time attack laps. Lorenzo was also quick to post a time early before the humid conditions got any hotter, the Spaniard 0.322s off Marquez and 0.221s ahead of Crutchlow, who made a leap in improvement today on his RC213V machine. Ducati’s Andrea Iannone was fourth today with a best lap of 1:59.722, and while Andrea Dovizioso may have finished in 10th today, both Italians were very fast in adapting to the new Desmosedici GP15 over the three days. Valentino Rossi was not able to match the top three today, the seven times MotoGP champion in fifth just 0.050s ahead of Bradley Smith on the satellite Yamaha Tech 3 machine. Dani Pedrosa ended the day in seventh place, the Honda rider the final man to break the two-minute mark with his best lap of 1m 59.912s to see him ahead of Open Class rider Hector Barbera for the Avintia Racing team with a stunning time of 2:00.244 good enough for eight place and ahead of the factory machine of Suzuki rider Aleix Espargaro. Marc Marquez returned to the top of the timing sheets on the second day of testing at the Sepang circuit. The double MotoGP champion was the first rider to lap under the two-minute barrier this week, with Jorge Lorenzo also improving by three places today to end up in second and the Ducati GP15 machine of Andrea Iannone in third. Marquez was quick to get up to speed and was immediately fas, and with the forecast at the Malaysian track predicting thunderstorms for the afternoon, the Honda rider made sure he put in a brace of fast times early on, in which came his time of 1:59.844, with Lorenzo the only other rider to break the two-minute mark with a lap of 1:59.90s. Despite not being able to match the top two riders’ times, Ducati will be very happy with factory riders Iannone and Andrea Dovizioso, who finished in third and fourth respectively following a last-gasp effort from Iannone late in the day. Dani Pedrosa (2:00.275) progressed well but could not match the pace of the front men as was the story with Yamaha’s Valentino Rossi (2:00.308) who led early on but fell off the pace later on and end today in sixth place. Bradley Smith ended the day in seventh place for the Tech 3 Yamaha team, the British rider getting the better of teammate Pol Espargaro today by the tune of three places with Espargaro grabbing the tenth best time today but both riders continue to successfully chip away at lowering their laptimes. LCR Honda’s Cal Crutchlow is continuing to adapt to his factory RC213V machine and finished with a best lap of 2:00.509 to see him in eighth today while Aleix Esapargaro continues to improve the pace of the Suzuki MotoGP machine with the ninth fastest time. 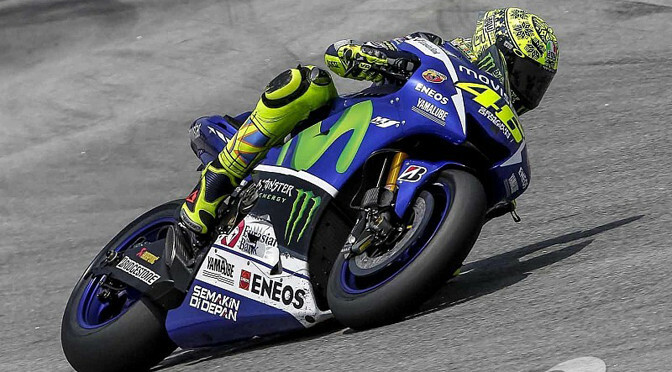 Valentino Rossi got the first day of the second MotoGP test at Sepang in the best way possible with the Movistar Yamaha rider ending the day in the top position on the timing sheets. The Italian rider leaped into the lead in the morning and remained at the top for the day. Rossi was also using a new updated seamless gearbox at today’s test with the seven-times MotoGP champion confirming his initial feelings with the new part afterwards. Rainfall put a stop to any fast laps late in the afternoon leaving Rossi on top with a best time of 2m 0.414s and ahead of Repsol Honda’s Dani Pedrosa and Monster Yamaha Tech 3 rider Pol Espargaro in third position. “Everybody in our team was curious about the updated gearbox and the first impression is quite positive, so I’m happy,” said Rossi who continued, “It doesn’t make a huge difference, but it’s a small help in a difficult point where we need to improve. The bike is a bit better in braking and corner entry and I think we need to work to understand the maximal potential, but the first test was good. I am happy to finish in the first position because I was in P1 from this morning, so it’s a good first day. It’s important for us to make some kilometers on the wet. I don’t really like the feeling with the bike on the wet and last year I struggled a bit. We already improved a bit today, but we need to do some more testing and make some more kilometers,” he added. Espargaro is quickly marking himself as one to watch this season and the Spaniard was fast from the off today and ended with a best lap of 2m 0.876s on the satellite Yamaha. He said, “I am really happy with the progress that we have made today and to finish in third is a great start to this test. We are continuing to work in the right direction and as soon as we started this morning, I knew that we could be quick. At midday it was already 54 degrees on the ground, which was clearly warmer than the first test where it reached a max of 50 and so we weren’t able to ride as many laps. However, the general feeling for today was that it was productive and we focused on trying different electronic settings. The information that we collected will be very useful and furthermore, it was very good to run some laps in the rain as well. This meant that we could work on the wet setup and I am really pleased with this especially, as there is a definite improvement. The 2015 Yamaha feels great and I know that if I can ride a bit smoother and adjust my riding style slightly, we can be strong. There are a few more things which we have to study in order to improve, but we cannot rush everything and we must take it all step by step,” Espargaro added. The Ducati Team launched its all-new GP15 machine this morning at the Ducati Auditorium in Borgo Panigale, Italy. 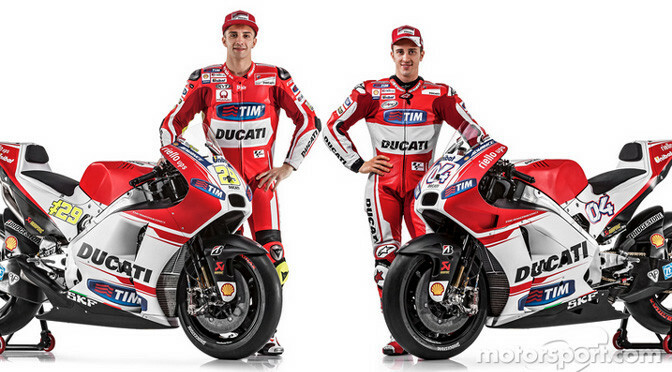 Teammates Andrea Dovizioso and Andrea Iannone joined with Ducati Corse General Manager and GP15 designer Gigi Dall’Igna to uncover the much-anticipated machine. Originally planned for the first winter test of 2015 in Sepang last month, the eagerly anticipated machine has already sparked worldwide conversations on what is under the bodywork that Dall’Igna has introduced or changed to turn the bike into a championship winning machine like the glory days of 2007 when Casey Stoner guided the ‘bologna bullet’ to MotoGP glory. The machine has become infamous for it’s vague front end field and understeer problems despite multiple chassis modifications and not even seven times MotoGP champion Valentino Rossi could get to grips with the machine during his two disastrous years with the Italian marque. Starting with Ducati last year, Dall’Igna was brought on-board primarily to manage the Ducati MotoGP project but also to find solutions to the ongoing issues with underperforming machinery. 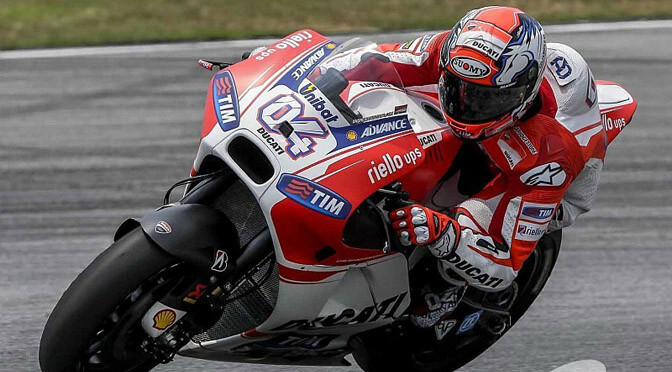 His first changes came with the GP14.2 and further changes with the GP14.3 that was used at Sepang a few weeks ago with both Dovizioso and Iannone impressing with their pace, albeit on the soft Bridgestone rubber. While no detailed information is yet available on the new machine, it is believed that Dall’Igna has stuck with the traditional Ducati 90 degree Desmodromic valve engine but all else could be completely changed and with Ducati effectively racing in the Open class they were able to work on their engine development last year whereas the other factory teams were not permitted to do this.